Everything from warm soup to hot wings! (SPOT.ph) There are days when you need more than a sweater and rainslicker to keep you warm. You need something to warm you up on the inside. Food. Hot food. Spicy food. Home-style food. Soup. Dishes that cozy you up in different ways. It's that time of the year again and we're sending in reinforcements. The sweet, fruity taste of watermelon in a sour soup? Sounds weird. But Simplè Lang has found the balance between these two contrasting flavors—it gets better with the addition of bagnet. The succulent pork belly melts in your mouth and contributes a subtle salty taste. Just don’t let it soak in the soup too long so the deep-fried skin won’t completely lose the crisp! The components in this dish could be truly weird for the unaccustomed—but in this case, weird is good. Simplè Lang is at Ayala Triangle Gardens, Ayala Avenue corner Makati Avenue, Bel-Air, Makati City (621-6162). Read more about Simplè Lang. The Sinigang na Crispy Bagnet sa Watermelon is ranked No. 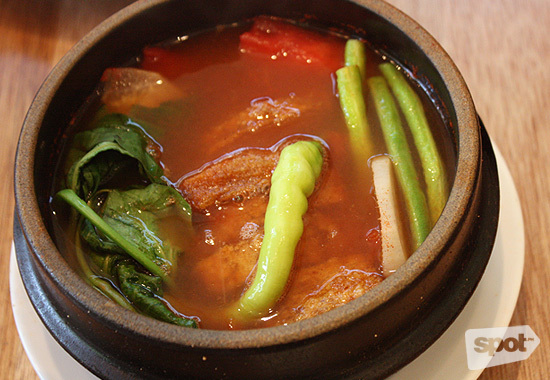 7 on SPOT.ph's Top 10 Sinigang in Metro Manila. This surf 'n' turf twist on the classic gets points not just for the extra-garlicky flavor, but also for amazing value for money. 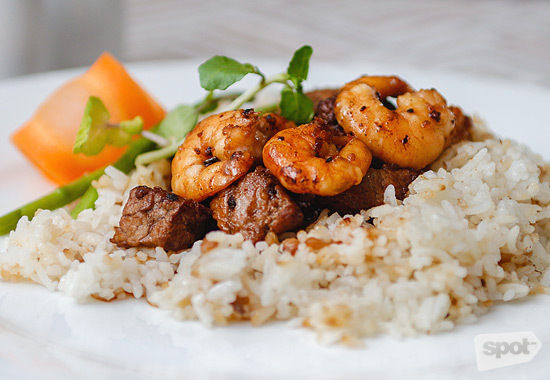 The tender beef cubes and gambas (which we consider a bonus) are served over a mountain of garlic rice, making this a sure hit with the hearty eater in the family. 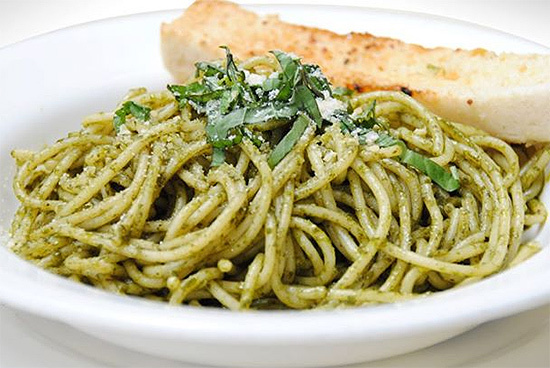 Mario's is at 191 Tomas Morato Avenue corner Scout Gandia Street, Quezon City (372-0360). The Salpicon de Mar y Tierra is ranked No. 4 on SPOT.ph's Top 10 Salpicao in Metro Manila. Thick but smooth, Café Mary Grace’s Traditional Chocolate is a sweet and calming brew. The vibrant color of the cup is charming but even without the extra point it earns for presentation, it’s the undeniable presence of the bittersweet flavor of cacao that will win you over. You don’t have to pair it with anything, it’s a cup you can enjoy on a rainy day for warmth and the soft flavor of chocolate. Click here for a list of Café Mary Grace branches. The Traditional Chocolate is ranked No. 2 on SPOT.ph's Top 10 Tsokolate (2013 Edition). The first thing you'll notice about this drink is its vibrant green hue. This is a good sign, people! This means there’s quality matcha in your drink. The strong, heady aroma of this latte then hits and relaxes you instantly. It’s thick but still impressively light; the flavor is sweet but there’s a nicely bitter, earthy taste in there, too. As a purveyor of numerous matcha-related delights, you'll be sure to satisfy your craving in any form you wish. Now if the previous entry felt as legit as a modern-day trip to the land of the rising sun, then this cup of matcha will make you feel like a feudal lord in Ancient Japan. Kissako is at Pioneer Center, Pioneer Street corner Brixton Street, Kapitolyo Pasig City. Read more about it Kissako. This Matcha Latte is ranked No. 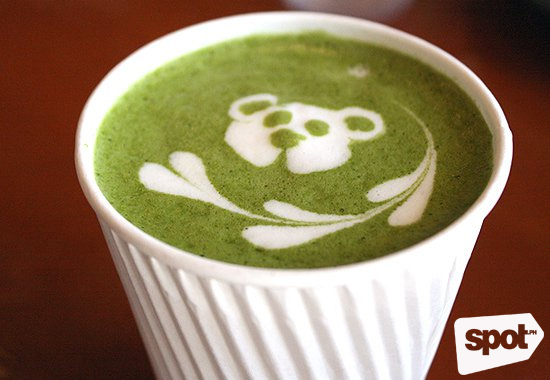 1 on SPOT.ph's Top 10 Matcha Lattes in Metro Manila. The solitary chocolate edifice is a bit bigger than average, but Aileen Anastacio has perfected the skill of letting her customers really indulge. Halfway through this exceptionally rich cake, you’ll find yourself wanting more instead of waving the white flag. Thanks to the outstanding balance of flavors: sinful but not too sweet. The lava center will have you scraping, maybe licking the plate if no one’s looking. If you’re a fan of Anastacio’s Fallen Chocolate Cake (available at her other restaurant, Marmalade Kitchen), you’ll definitely love this one too. Goodies N Sweets is at Unit 105, G/F San Antonio Plaza Arcade, Makati City (0922-875-7517). 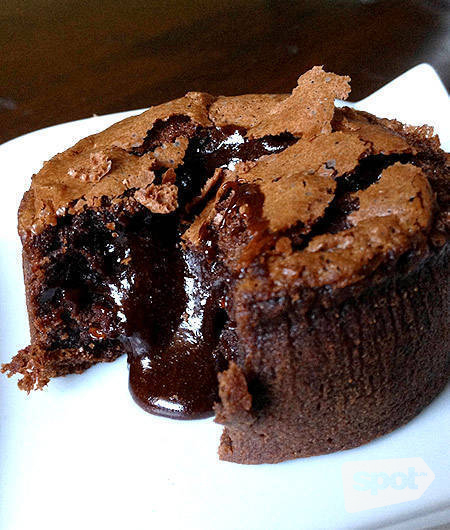 This Choco Lava Cake is ranked No. 7 on Top 10 Chocolate Lava Cakes. Borough’s cult following may stage uproar over this one-notch down decision, but to keep things clear, the scorecards were even. Laying down that overused Blahnik for a new pair of Louboutins, for example, isn’t forgetting your favorite, right? It simply is making space for the new. Deep inside our hearts we’ll always have that warm welcome of homemade brioche bread (and without a doubt the best there is in Manila) in a layer of the most heavenly cheeses ready to take the plunge in their classic roasted tomato soup—heaven of earth would be an understatement. Borough’s grilled cheese is something we will always come back to, like the first love we all have that will never, ever die. Borough is at G/F The Podium, Mandaluyong City (570-8906). Read more about Borough. 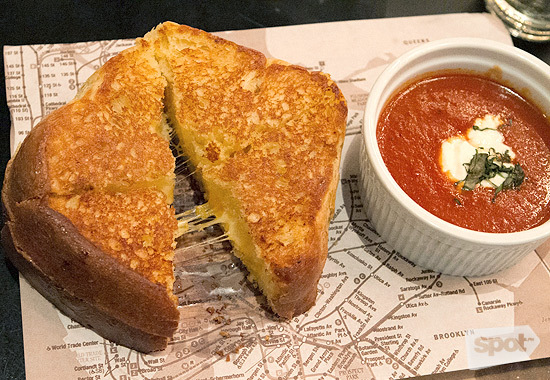 This Grilled Cheese and Tomato Soup is ranked No. 2 on SPOT.ph's Top 10 Grilled Cheese Sandwiches (2015 Edition). This neighborhood chocolaterie has been around for years and with good reason—its signature cup of hot chocolate. Made fresh and well worth the wait, the Taza de Xocolat delivers a rich and bold flavor that will satisfy those looking for pure chocolate without too much sweetness. Substantially thick but good enough for a slow sip, the cup also comes with skewered marshmallows (if only there were graham crackers too!). Bonus: Xocolat offers exemplary customer service, too. 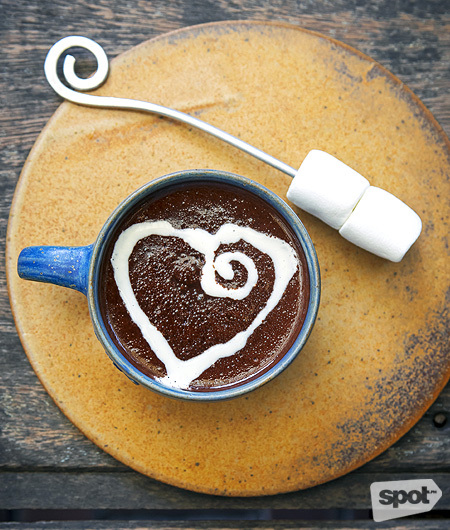 Make this your go-to cocoa treat. 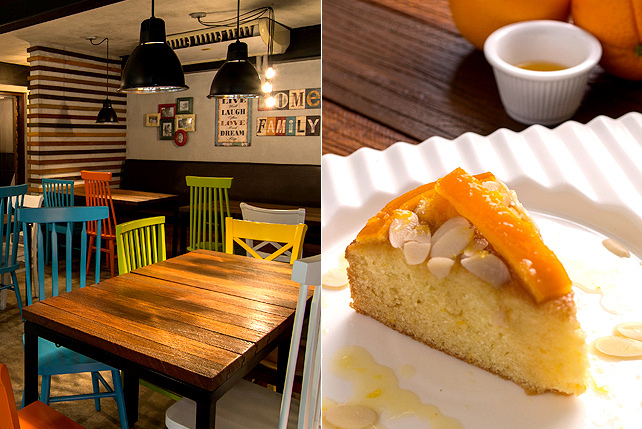 Xocolat has branches at B. Gonzales Street, Loyola Heights, Quezon City; and Promenade, San Juan City. Read more about Xocolat. The Taza de Xocolat is ranked No. 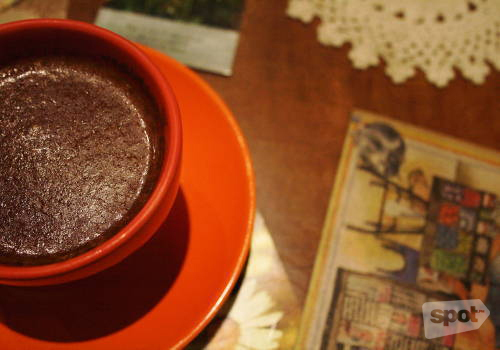 1 on SPOT.ph's Top 10 Hot Chocolate (2015 Edition). Their crispy wings are doused in a sauce that embodies the definition of tangy—but with a kick of heat. You will find yourself gnawing at wing after wing after wing until you've gotten every tasty morsel. Then you'll be waving your hand at the waiter for more. We could eat this forever, if our wallets didn't give us limitations. Frankie's has branches at G/F City Golf Plaza, Doña Julia Vargas Avenue, Pasig City; and 5/F SM Mega Fashion Hall, Mandaluyong City. The Classic Buffalo Wings are ranked No. 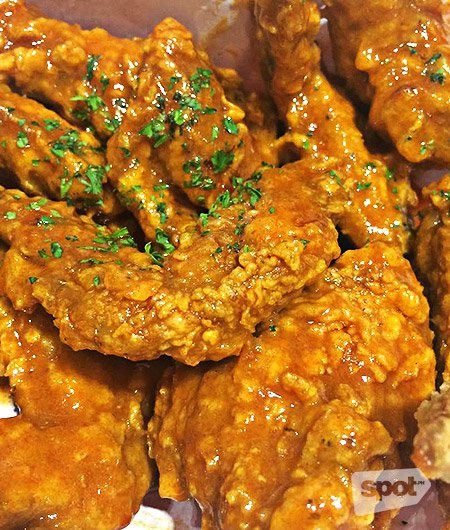 2 on SPOT.ph's Top 10 Spicy Wings (2015 Edition). Champorado, though delicious and comforting, is not the most photogenic of dishes. Trust Early Bird Breakfast Club to debunk tradition with their Yin Yang Champorado, with its beautifully plated dark and white Belgian chocolate concoction. The name refers to both the carefully crafted Yin and Yang design on the champorado itself, and the mildly contrasting flavors in the dish. With a side of dilis-in-a-cup and a dusting of confectioner’s sugar, Early Bird's take on the breakfast staple is a delicious mix of bitter sweetness from the dark chocolate and the candy-sweet flavor of the white chocolate. Perfect in both presentation and taste, this dish is a runaway winner. Early Bird Breakfast Club has branches at G/F, Fort Pointe 2 Building, The Fort Complex, 28th Street, Bonifacio Global City; Eastwood Mall, Quezon City; and Century City Mall, Makati City. 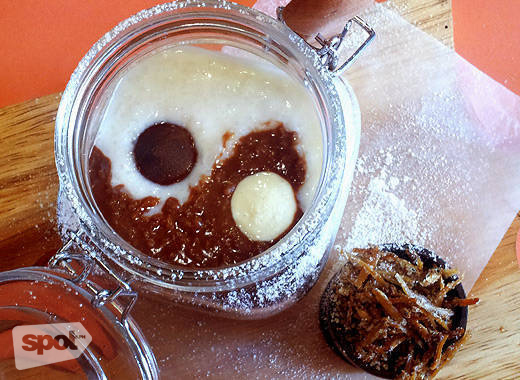 The Yin Yang Champorado is ranked No. 1 on SPOT.ph's Top 10 Champorado. You have to eat this piping hot, fresh from the kitchen and right off the steamer. The ground pork inside isn't some compact gritty meatball stuffed inside a sticky, velvet pouch. Instead, it's soft, luscious—the kind that breaks apart if only to let you know that they're the real thing—flavorful on its own yet boosted by the savory broth. Modern Shanghai has branches at Glorietta 2, Makati City; and SM Mall of Asia, Pasay City. 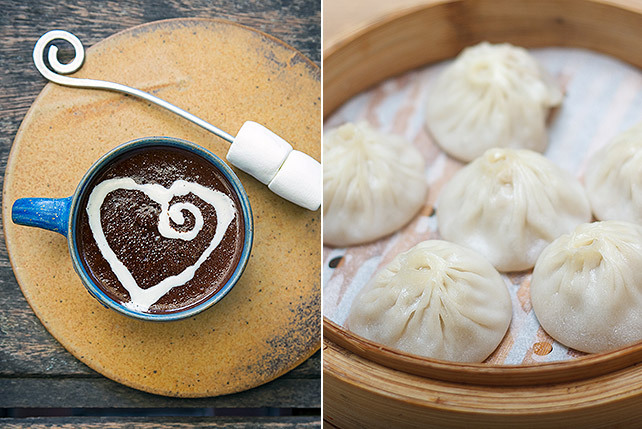 Modern Shanghair's Xiao Long Bao is ranked No. 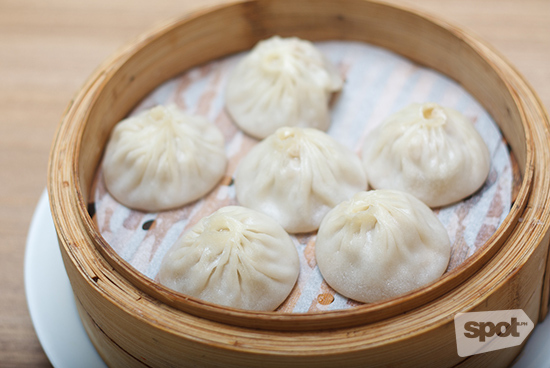 1 on SPOT.ph Top 10 Xiao Long Bao (2014 Edition). Read the 2011 Edition.